Landon Donovan has claimed that Zlatan Ibrahimovic will make LA Galaxy a spectacle once again. The former US international was speaking on the occasion of LA Galaxy announcing a move for the former Manchester United striker, who is now a free agent after coming out of his contract with the Red Devils. At 36 years of age, he may not have a long time left the game. However, Donovan feels that Ibrahimovic has the ability to make MLS attractive once again. The league has had incredible players like David Beckham in the past, but the recent crop of headline stars have reduced. Donovan was featuring for LA Galaxy when the club brought in David Beckham from Real Madrid. Now, Ibrahimovic will be playing alongside stars like Ashley Cole. His arrival cannot come at a better time for Galaxy, as the club has been dealing with a difficult period over the last 12 months. After finishing outside the play-offs and closer to the bottom last season, Galaxy have made a poor start once again. Goals have been hard to come by and the departure of players like Gyasi Zardes has made it difficult once again. The team will benefit from the presence of Ibrahimovic, who is just now recovering from a major knee injury. Despite not playing much in the last 12 months, the forward has incredible quality capable of overpowering opposition. "I was pretty surprised by it. I mean, LA needs big personalities, so it's going to be a spectacle to watch. I'm curious to see how he's recovered, and then how much he has left. He's someone who's the same age as me going through the same thing. It will be interesting to see how can actually contribute on the field, but it's exciting. 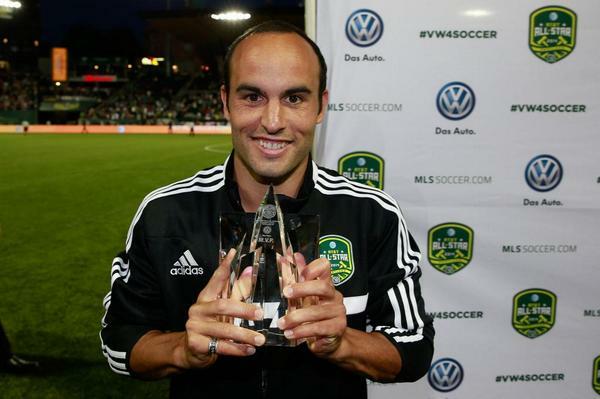 The league is so much more mature now than it was,” said the former MLS forward.